Ideal cleaner for heavy and stubborn dirt as well as deposits in the sanitary area. 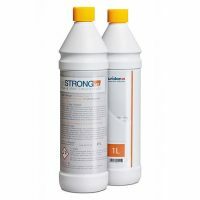 UriStrong also dissolves lime scale, urine scale, and other mineral deposits. Recommended once or twice a year.